Why would you even want to do this when you can buy a native IP webcam for less? I’m not sure, but i found myself in this situation so it could happen to others, and I found some things that worked and some that required quite some effort. 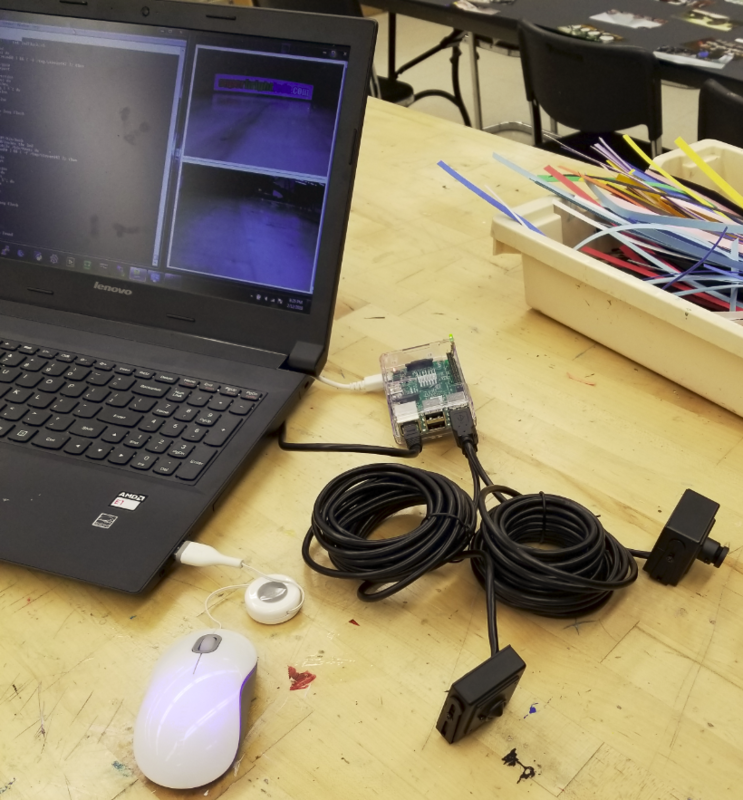 In my previous post I spoke about using opencv on Raspberry Pi. This post is more about getting at an image with a minimum of lag time and relatively low bandwidth. The specific camera I am working with is an ELP mini USB camera for $20. I considered bolting on an add-on to opencv to convert the video stream into mjpeg. But the process looked relatively obscure so I did not feel that was a good way to go. I skimmed through the mjpeg (motion jpeg) standard. Looks pretty straightforward. i even considered writing my own streamer. It’s probably not too hard to write a bad one! But I feared it would be unreliable so I didn’t go that route. It’s just jpeg, separator, jpeg, separator, jpeg, etc. Here’s the Wikipedia link: https://en.wikipedia.org/wiki/Motion_JPEG. I think the best software for is mjpg_streamer. It is not available as a simple package. So you have to compile it and patch it. Mostly! I needed the patch as well (which he also mentions). his instructions for the patch aren’t accurate. He provides a link. You need to save the contents by launching the downloaded file and saving it as input_uvc_patch.txt after opening it in Windows Notepad (if you’re doing this download through Windows). That is, assuming you had copied the patch file into that ~/mjpg-streamer directory. Before we get too far, I wished to mention that the command fswebcam proved somewhat useful for debugging. We had one, then I got another one. The two cameras do not behave the same way! I guess Raspberry Pi has its own version of plug-and-play. So what it means is that when you plug in the camera a device file is dynamically created called /dev/video0. Now if you happen to plug in a second USB camera, that one becomes device /dev/video1. Some utilities are designed to work with /dev/video0 and require extra arguments to deal with a camera with a different device number, e.g., fswebcam -d /dev/video1 image.jpg. But actually running two cameras did not work out too well for me. It seemed to crash and I don’t have time to investigate that. My livestream.sh file looks like this right now. It will change but this is a good document point. -r 352x288" -o "/usr/local/lib/output_http.so -w /usr/local/www"
#!/bin/bash /usr/local/bin/mjpg_streamer -i "/usr/local/lib/input_uvc.so -yuv -f 12 -q 50 \ -r 352x288" -o "/usr/local/lib/output_http.so -w /usr/local/www"
One time when I ran it it crashed and suggested that -yuv argument be added, so I tried it and it actually worked! That’s how i discovered that oddity. About 2 mbps. How do I measure that? simple. I bring up the web page and tool around the networking stuff until i find Change Adapter Settings (always difficult to find). Then I double-click on my active adapter and stare at the received bytes to get a feel for how much it’s incrementing by each second. Multiply by 10, and voila, you have a crude measure, perhaps +/- 30%, of your bandwidth consumed! This is so important it needs its own section. Latency is pretty good. We’ve measured it to be 0.26 seconds. 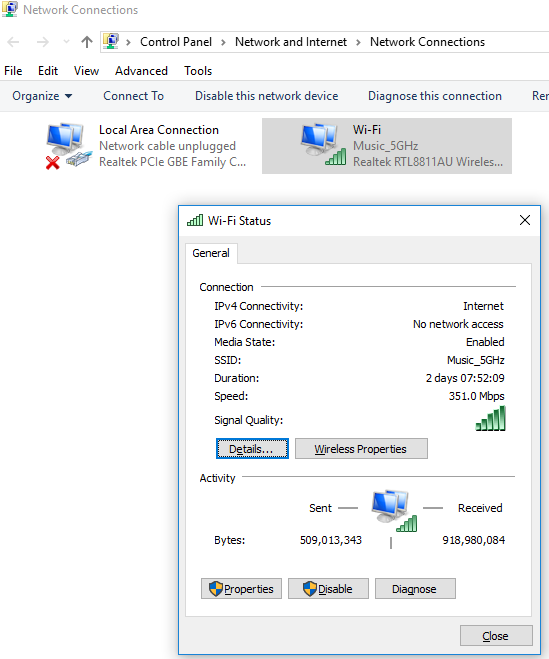 What happens if you run fswebcam while livestream is running? Makes sense. Only one program on the Pi can capture the output form the camera. Does the simple command fswebcam image.jpg work all the time? No it does not! Sometimes it simply fails, which is scary. --- Opening /dev/video0... Trying source module v4l2... /dev/video0 opened. No input was specified, using the first. Adjusting resolution from 384x288 to 352x288. --- Capturing frame... Timed out waiting for frame! No frames captured. Writing JPEG image to '/tmp/image.jpg'. --- Opening /dev/video0... Trying source module v4l2... /dev/video0 opened. No input was specified, using the first. Adjusting resolution from 384x288 to 352x288. --- Capturing frame... Captured frame in 0.00 seconds. --- Processing captured image... Writing JPEG image to '/tmp/image.jpg'. This initially did not work in my first attempts but now it does! It probably helps to be running a Raspebrry Pi 3 with Raspbian Stretch OS. /usr/local/bin/mjpg_streamer -i "/usr/local/lib/input_uvc.so -d /dev/video1 -yuv -q 50 -r 352x288 -f 12" -o "/usr/local/lib/output_http.so -w /usr/local/www2 -p 8090"
#!/bin/bash /usr/local/bin/mjpg_streamer -i "/usr/local/lib/input_uvc.so -d /dev/video1 -yuv -q 50 -r 352x288 -f 12" -o "/usr/local/lib/output_http.so -w /usr/local/www2 -p 8090"
We found that by lowering the jpeg quality with the -q option we could reduce the bandwidth and the quality, but the quality was still good enough for our purposes. Now the video streams from both cameras comes in around 4.5 mbps, even in bright lighting. So we settled on -q 50 for a 50% quality. Even a quality of 10 (10%) is not all that bad! I believe the default is 80%. Some of this was written by the student so apologies for the misspellings! Probably will be refined in the future. We can tease out how much bandwidth we’re actually using on the Pi by measuring the transmitted (TX) bytes periodically. We’ll record that during a matcgh so we can prove to ourselves and others that we have our bandwidth under control – far less than 7 mbps despite using two cameras. Watch as our bandwidth usage grows to around 700 kbps as we turn on one of our video cameras. Sometimes one video stream does not come on correctly after first power-up. This is most perplexing as with computer gear one expects consistent, reproducible behaviour, yet that is not at all what we’ve observed. This makes no sense, but in one environment we had our two streams running successfully six times in a row. Then I take the equipment home and find only one of the two streams starts up. It seems more likely to fail after sitting powered off for a few hours! I know it doesn’t make sense but that’s how it is. And we’ll start these at boot time like the long and growing list of things we are starting at boot time. So…to be safe we are switching from use of ports 8080 and 8090 to ports 80 and 443. But this means we have to preface certain commands – such as mjpg_streamer – with sudo since tcp ports < 1024 are privileged. Our led is soldered to a gruond pin and GPIO pin 18. We start it at boot time as well. It tells us when both video streams are ready for viewing because only then do the files get created and then the led starts flashing. It takes about 62 seconds from the time power is supplied to the Raspberry Pi to the time the LED starts flashing (indicating the two video streams are ready). This picture goes a long way to convey the ideas. We needed an IP for testing in the lab, another when we brought it home and a third for competitions. This blog post showed how we gave it all needed IP addresses for our purposes! FIRST FRC provides this guide for use of IP addresses at their events. This entry was posted in Linux, Raspberry Pi, Web Site Technologies and tagged mjpeg, mjpg_streamer. Bookmark the permalink.